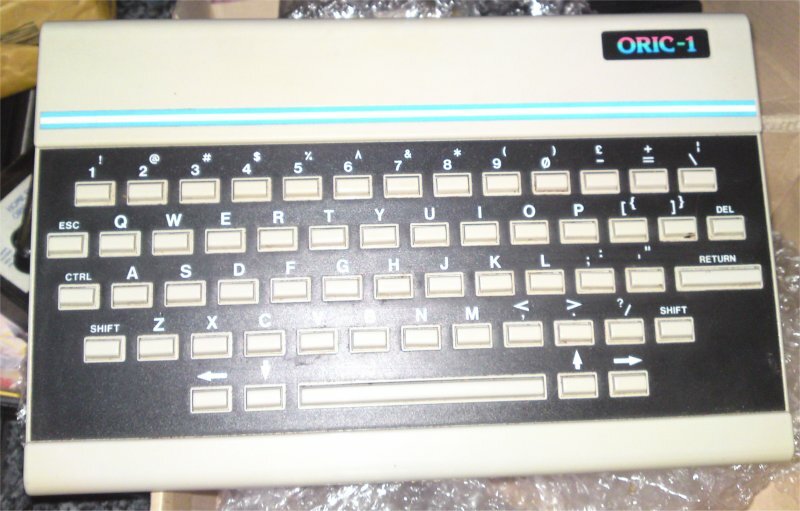 My orginal Vic-20 from the 80's.. Yes I am now 1million years old kids. Kids who am I kidding, only older gitz will be reading this.. It's got a Stack 4 port extender, as well as a light pen.. I bought all of this stuff way back when I had a Raliegh Grifter! (Red).. It's not as yellow as it looks in this image! 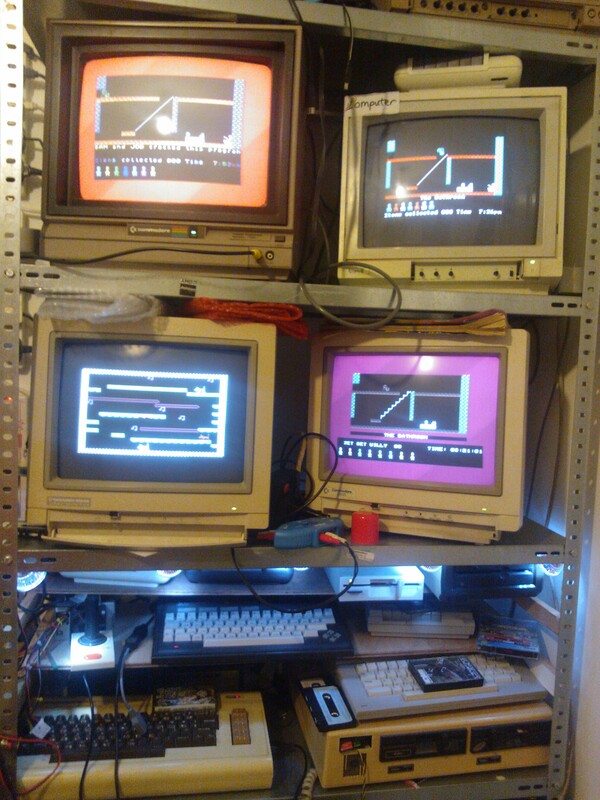 Plus4, great machine.. 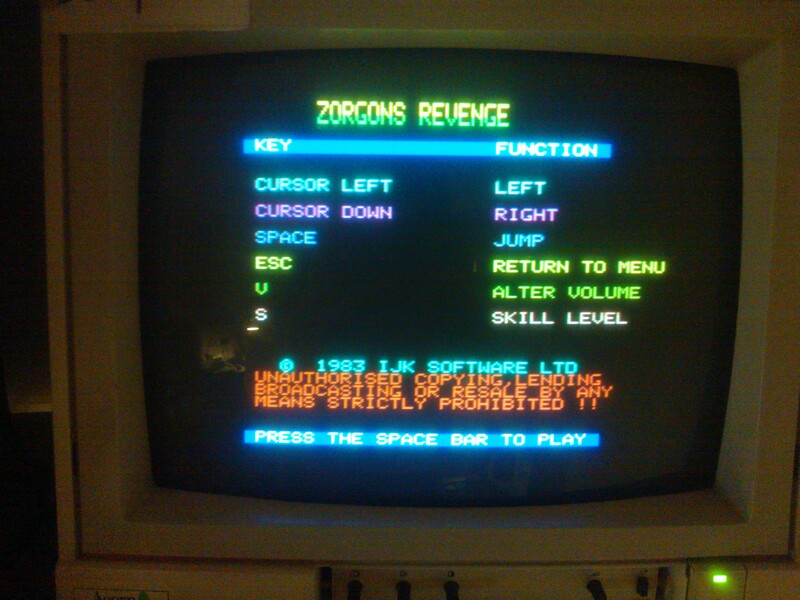 Pointless machine!, as just about all of the titles are made to work with the C16. Because of this, hardly any games use more than 16k of memory. I'd use the C16, but I've ran out of space! Stick a heatsink on the TED and the CPU if you have one of these, at some point it will fail and a bit of cooling will keep it alive for a heck of a lot longer! 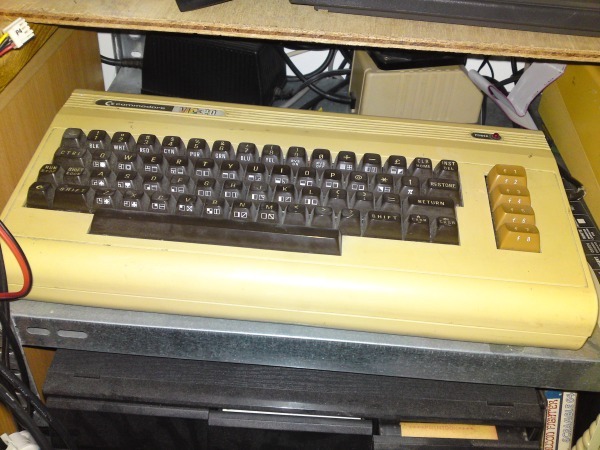 This was my current "Daily Drive" a C64c, I know its not a bread bin.. I save those for "Best"
Couldn't help myself!.. IR remote lets you select modes. 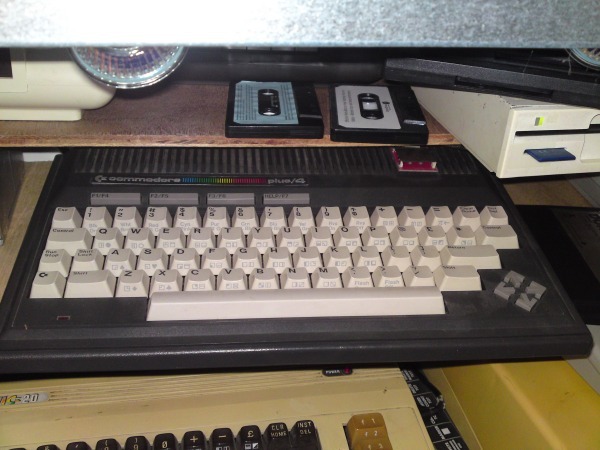 Atari 800.. 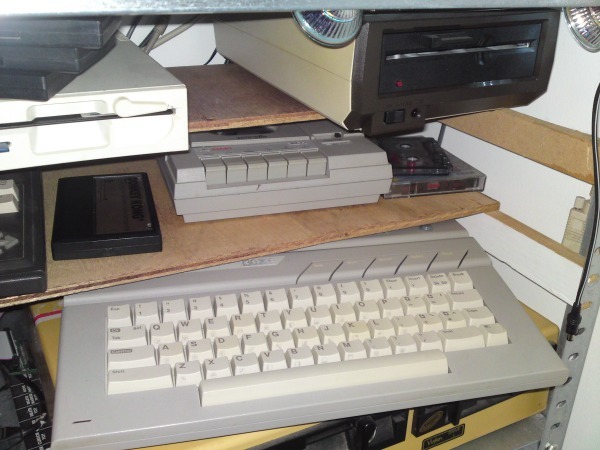 If you thought loading a C64 tape took a while. You should try one of these. Tapes over 20mins are the norm! Oh, and it will fail to load, just about every time.. 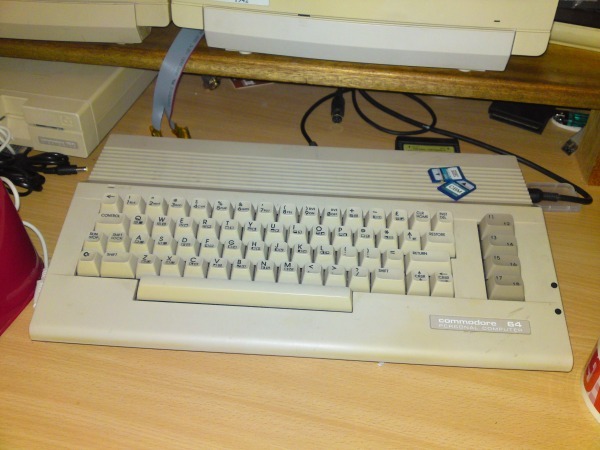 I've got a disk drive for it, that makes the original 1541 look small and neat and is a so frigging hard to work with.. And thats why I have a flash card. 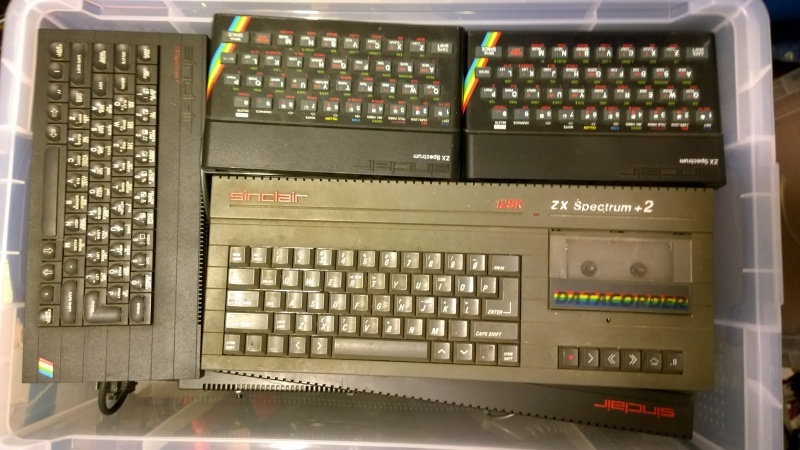 I say I have rather than USE.. it's too complicated to use, I just moved onto something else.. Atari usership, usershite more like! 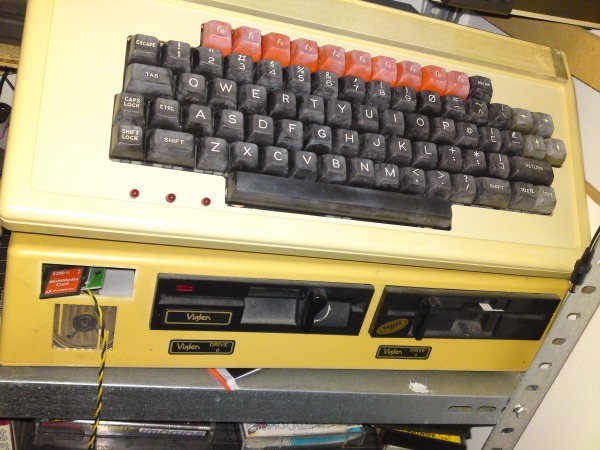 But I still like it, IF you can get something to load (I just plug in a cart) it is an interesting machine.. Partly because the graphics are so Atari 2600 (woody), but a bit C16.. And partly because it seems too difficult to use some how makes it more worth while. Or not! Bloody thing! 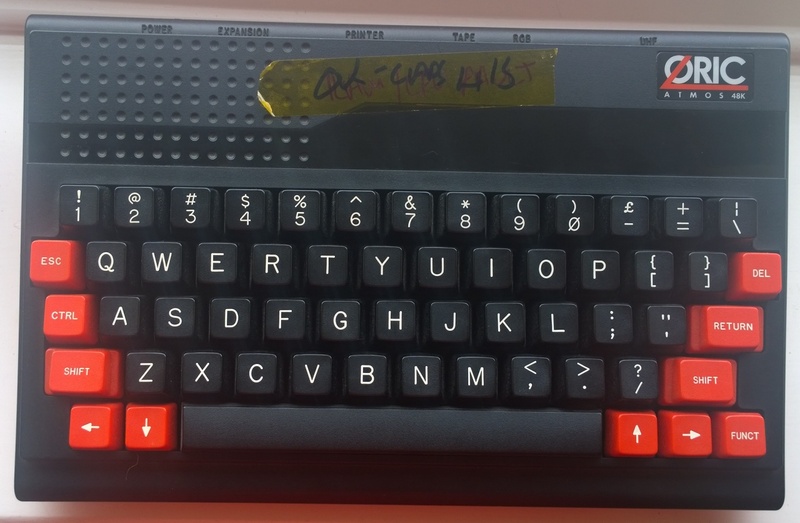 Sinclair Spectrum 48k with a fancy keyboard, built in joystick port and divIDE. Plus plenty of low fat DUST. 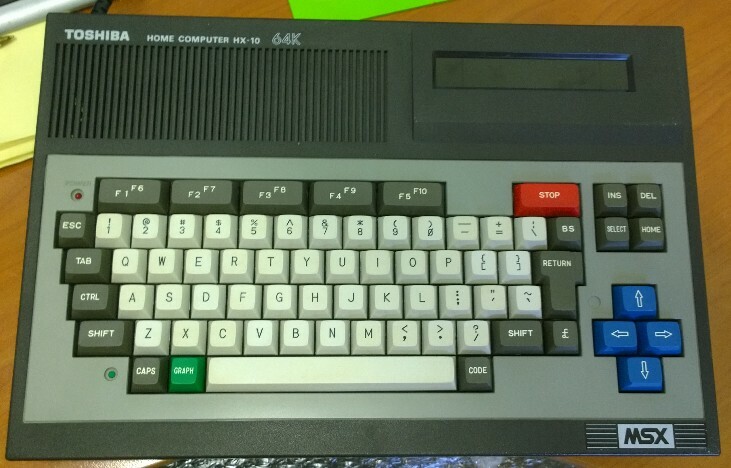 Another Speccy clone - Timex 2024.. Nice! 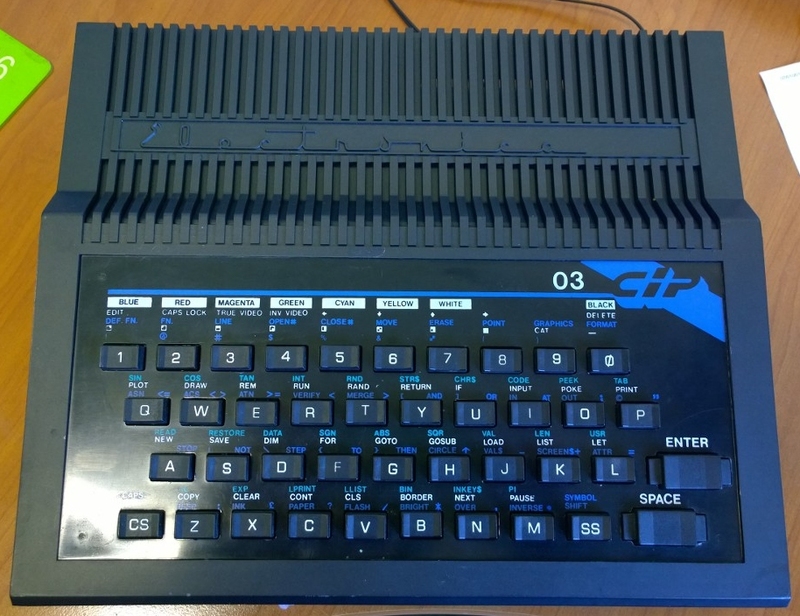 Atari 130, same as the 800 really.. 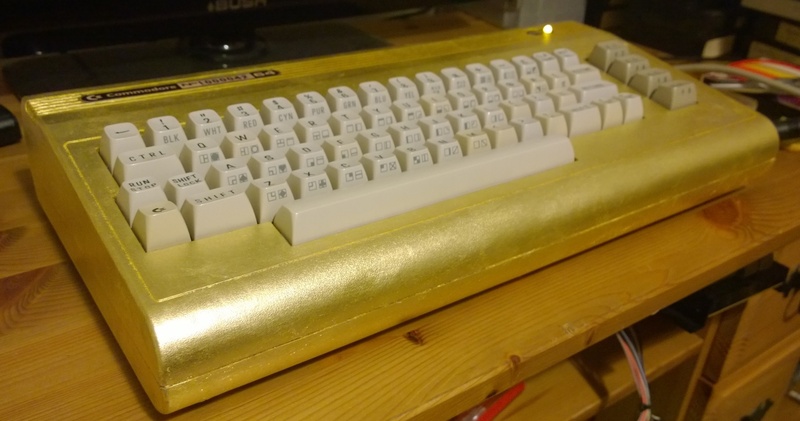 It's just a new case for an old machine. Cassette loading still crazy slow. 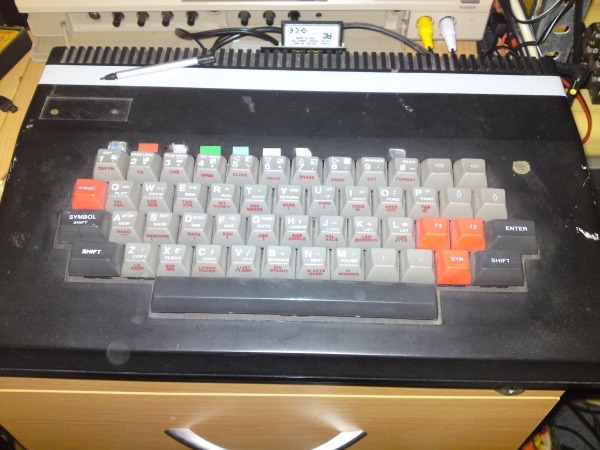 BBC B in a viglen box with PC style corded keyboard.. Two floppy drives 40/80 track. But better than that.. SD card! If you don't have a BBC, get one.. beeeeep BEEP! I mean it, dead easy to get a Beeb to load from SD and many classic Beeb games. And they break a bit, but are sooo easy to fix. 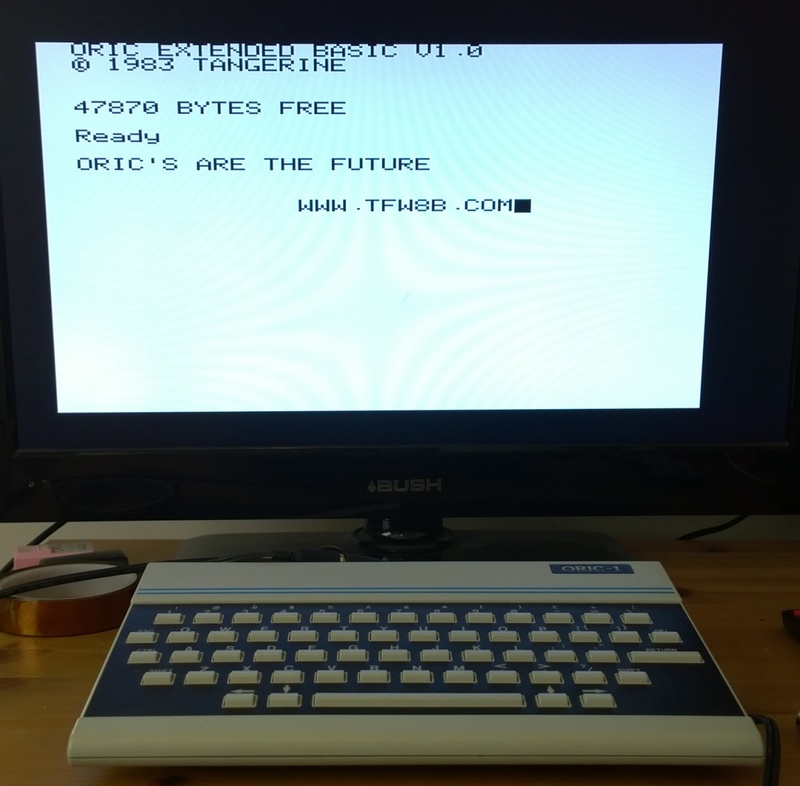 Elite, Repton, Spy Hunter, Chucky EGG, might have to play on it now..
Oric's are indeed "The Future"
Amiga 4000, another machine from way back when. I had to get a lift to Porchester to buy this.. 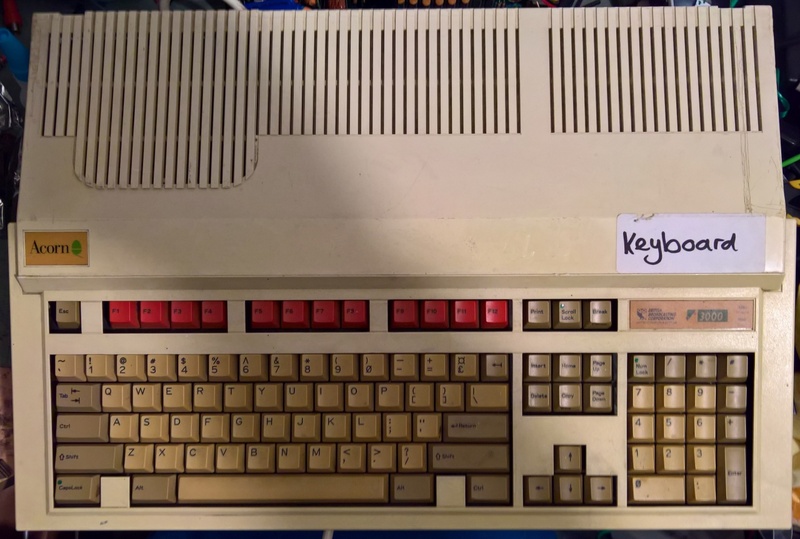 The salesman was great, gave me the whole "whats that little oik think he's doing in my shop".. Oh spending 1500 quid on an 4000/030 with a 1940 monitor.. 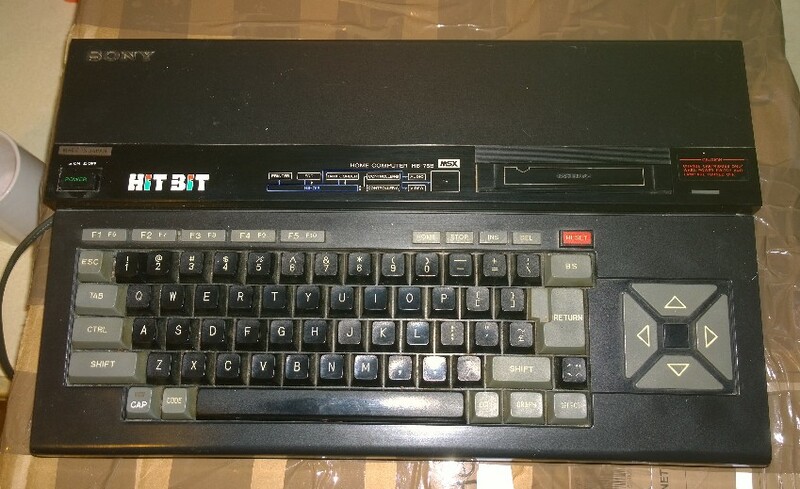 Extra memory "Sir", 4meg extra, that will be an extra £180's.. a heck of a lot of money back then. I was only earning 70 quid a week before tax. Anywho, recently repaired, upgraded to 3.1 OS3.9 (upgrade really?) CF hard disk 040 and all that jazz.. Working a treat. Frontier, Syndicate, Settlers all good stuff! Soon to have a 060 installed. 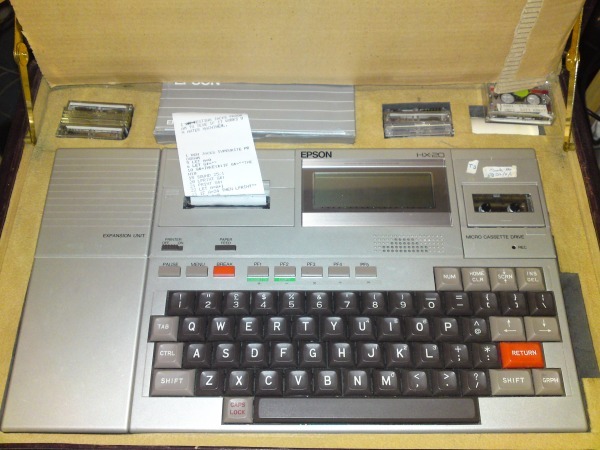 Epson HX-20.. Another favorite of mine. These all suffer from NiCad leakage, but it's easy to repair. Believe it or not, this thing will keep stuff in MEMORY not FLASH for 3 months plus! 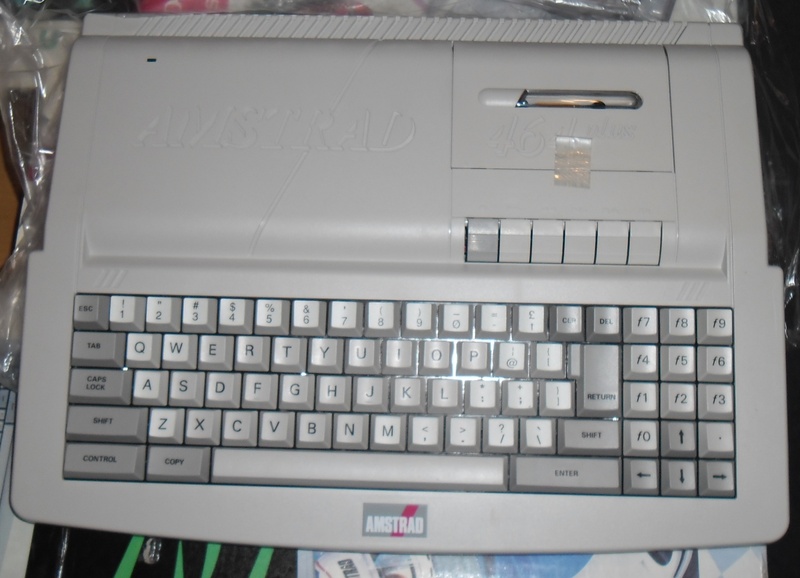 Built in line printer, LCD screen, and micro cassette. 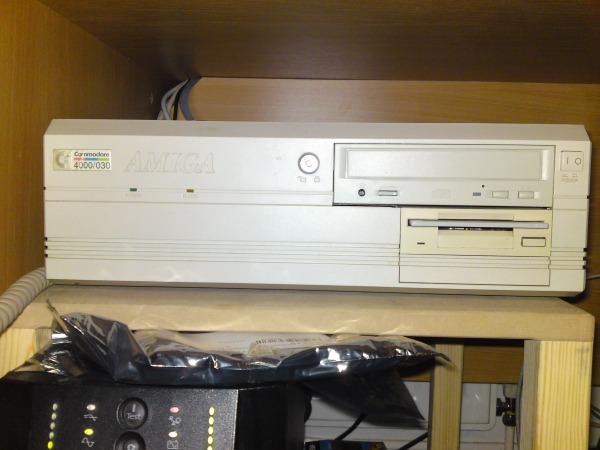 What's also good, as it has an RS432 port so uploading from a PC is easy! Camputers Lynx.. 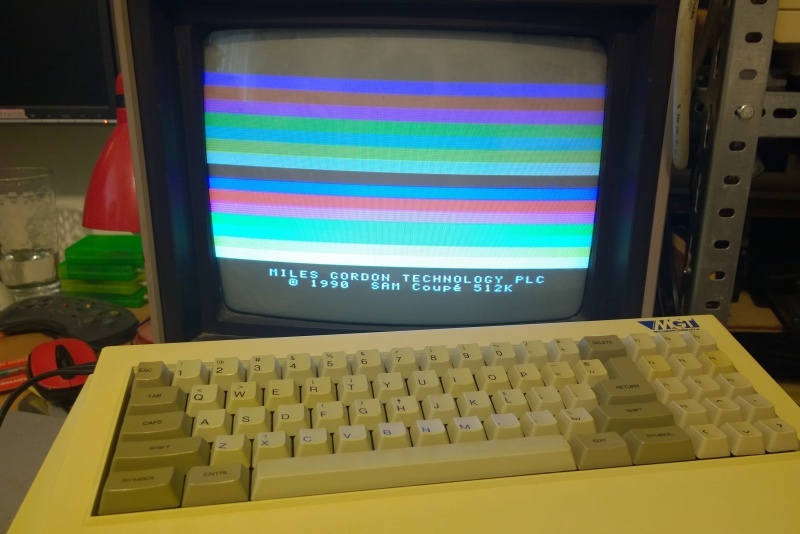 This ones a basic 48k version.. I'm sure I've got it's bigger brother somewhere. 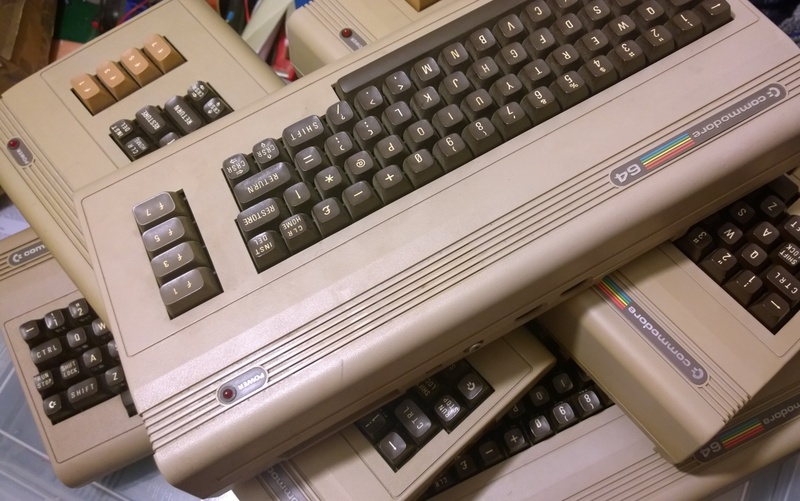 One of many of my C128's.. 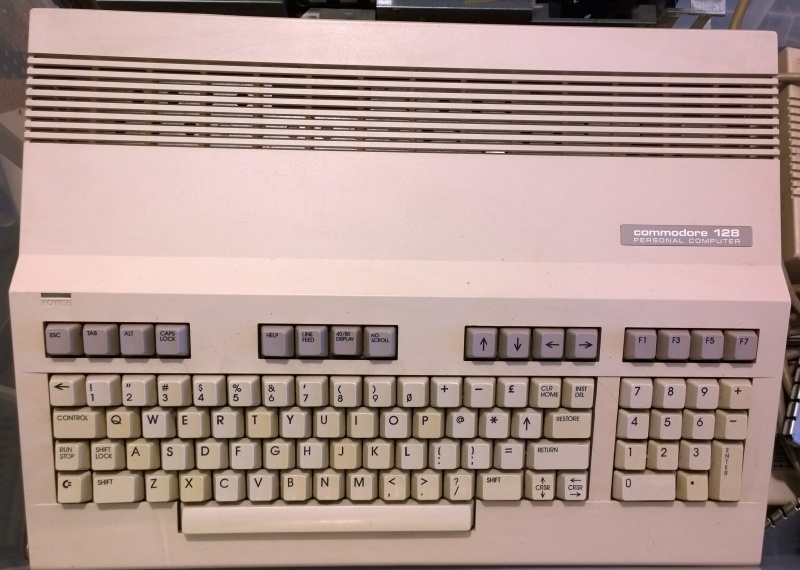 This one till recently was my "Daily Drive"
Yeah, I know.. Too many C64 machines.. C64GS - Probably the most unwanted Commodore machine of the 90's. It'll cost you a small fortune on ebay if you can find one these days. Lord Sugar is known to have the largest desk in the world. 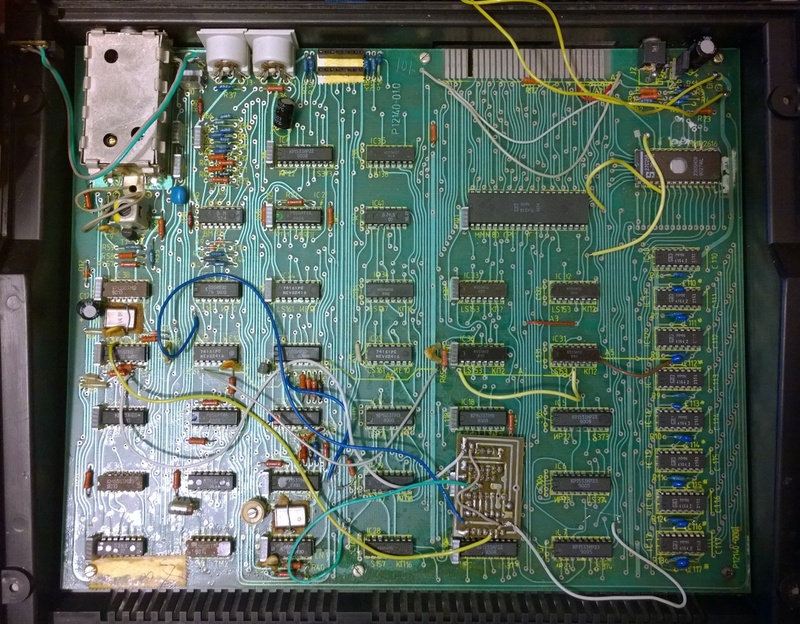 That's not the official reason why the Amstrad CPC464 is so wide.. But good enough for me! Sam Coupe.. I wonder if they had a list of names to choose from. I'd have gone for Kenneth Hatchback. One day I'll find time to run this baby in!